I will be fasting this September 9. I've been on lockup since 2011 but I will refuse my trays from midnight to midnight Sept 9, 2013 to pay homage to the fallen brothers of the cause in Attica and everywhere else! And I will encourage other brothers to do so as well. The pigs decided to give us showers today. They are walking each cell to the shower individually. Three pigs for one inmate, one of which is holding an assault rifle looking gun that shoots paintballs of mace. Cowards! MIM(Prisons) responds: We commend this comrade for stepping up to the United Front for Peace in Prisons call for a solidarity demonstration on September 9th after reading only one issue of Under Lock & Key. We would not call the pigs cowards for their vast outnumbering and assault weapon use with prisoners: this is realistic fear of the power of the oppressed. Right now we don't have the level of unity in the prisons to present more than sporadic points of resistance, but the very event this comrade mentions, the Attica uprising, demonstrates the potential power of prisoners when acting in unity. This unity is built through struggle and discussion, something that is much easier when prisoners have contact with one another. And for this reason, this active prisoner, and tens of thousands of others, are on lockup in isolation cells, being kept from contact with others so that they can not spread the dangerous ideology of unity and peace among prisoners. We have received word from another comrade in Maryland that others are participating in this 24 hour fast on September 9th to commemorate the Attica brothers unity and organization. While reading the latest issue of ULK I noticed the topic on Peace and Unity. As a member of the New Man Corp., it's my obligation to want to contribute to productive activity and liberation from what ignorance has bound me to. This is why I encourage all my comrades to work towards true freedom, and also to work against this diabolical establishment. I believe we as men should study our heritage and culture and protect each other from this open enemy. I understand the need to study George, Malcolm, and Huey to become well versed with the people of the struggle and develop a sense of camaraderie. It has come time for all of us to stand together as one united front, so we can fight against prison injustice. I reside in Maryland Correctional Institution, where peace and unity is imperative. It's become increasingly clear that our continued genocidal tendencies are at our peril. We complain about the injustice we are forced to deal with inside this slave plantation known as prison, but it pales in comparison to the pain and sorrow we have inflicted upon each other. Just think of the power that is in our writing against the elements that thrive successfully because of our difficulties and divided strata. It is time for all of the warriors of the prison tribes to realize that together we are unstoppable. It is time for those of us with political minds, influence, rank, and respect to start believing in and advocating peace and unity. We must revolutionize ourselves, become new men, and liberate ourselves mentally. This will redirect our energy towards the interests of our people. This is why I stress education of the lumpen to understand why we are where we are, while building strong ties to change our reality. Those who benefit from the oppression and exploitation of others do not want such change to take place. So lets come together to overthrow this oppressive imperialist system. This is the only thing that will truly bring peace and unity to us in prison. Just as it is in all of the places that are discussed in Under Lock & Key, the system here in Maryland is a joke. Prisoners in this system who wish to air their grievances have no outlet because the same pigs who were writing them up are the same pigs that handle the administrative remedy process. In 2008, a memo was put out to prisoners, written by the Prisoners' Rights Information System of Maryland (PRISM). It indicated that a Federal lawsuit had been filed by a prisoner represented by PRISM and that that lawsuit resulted in the division of corrections, revising directives governing the administrative remedy process. One of the changes included the adoption of a two-piece carbon copy complaint form so prisoners can retain a copy of the ARP, thus reducing risk of loss and destruction and providing proof of exhaustion of remedies. For a while this two-piece carbon copy complaint form was beneficial to prisoners, however, like everything else that has been put into effect to ensure that "justice" for prison inmates is upheld, officers have found a way to undermine the system. At first many officers began to refuse to sign the ARPs, but after prisoners began to complain about this injustice the cowards gave in because they did not want to be written up. Then they created a new system stating that no officers could sign an inmate's ARP, only a Lieutenant (Lt) or a "designated officer" could do so. These Lts and designated officers pick and choose which ARPs they want to sign and which ARPs they want to scrap. We have to give our ARPs to a tier officer to take to the Lt because a Lt will never come get it himself. If the Lt is okay with what you've written it will be signed and the carbon copy will be returned to you. If not, you'll never see it again. The whole point of the carbon copy is to prevent loss or destruction. It is supposed to be signed and dated in front of you so that the carbon copy can be handed back to you right then and there so that you will have proof that you wrote the ARP if something happens to it. In the segregation unit of Eastern Correctional Institution, Lt Galligher is one of the leaders of the good ol' boy network. It is he and he alone who is in charge of signing ARPs and he must have worked as a magician before working for the division of corruption because he sure does know how to make a grievance disappear. Not many people write this up because this Lt and the other pigs who put this system into place will not hesitate to retaliate on anyone that attempts to expose them. I, however, am not afraid and plan to attack this joke that they call a grievance procedure from every angle possible. I agree with the brother from Washington who stated that in ULK 19, "[t]he only way that we as prisoners will be treated fairly and with justice is if a neutral outside company or corporation dealing solely with grievances and our claims is constructed." Otherwise we're just complaining to the same people who are administering the many forms of injustice that we are fighting against. It's a new era, it's time for change, it's time for solidarity. I'm especially speaking to those of you who are in an organization, this is what our energy should be focused on, instead of trying to destroy the many forms of injustice that we are shadowed with on an everyday basis. It's time for change. The time is now. Power to the people! MIM(Prisons) adds: In response to this sort of injustice around prisoner's grievances, some United Struggle from Within (USW) comrades initiated a grievance campaign. Write us to get a copy of the grievance petition for your state if you reside in California, Missouri, Oklahoma or Texas, or a generic petition that you can customize for your state if you are anywhere else. I'm in a very unique position in that I am part of a dinosaur breed of prisoners in the state of Maryland, and Western Correctional Institution(WCI) in particular, who gears towards Revolutionary Suicide. Now, it's sad to see that the people I'm surrounded by are worse than reactionaries. Equally unfortunate is the fact that after all the bloodshed and mayhem endured by our predecessors (e.g. Harriet Tubman, Nat Turner, Denmark Vessey, and George Lester Jackson), that instead of an increase in Revolutionary Suicide, there is an ever-growing decrease. This plantation went on lockdown for the week of September 20, 2010 due to a fist fight between two gang members. Although I am not (nor ever been) a member of a gang, I understand lockdowns are a part of prison life. What I am not able to accept is that the same people who are members of the gangs openly embrace known rats and sellouts, yet hurt each other over nothing more than a temporary loss of temper over a word play. During the lockdown, the pigs shut off the power to the televisions in our cells and our water. Would you believe that some of these clowns played with the pigs about our situation?! Others openly faulted gangs to anyone who would listen! These same people who are always quick to go against one another said nothing to the pigs, especially once the pigs turned off the power to our cells, including toilet. General George Jackson spoke clearly when he said how these feeble and pusillanimous clowns work openly with the pigs and against one another. They will "swallow a camel but gag on a nut. They accept a certain condition and [mis]treatment with apparent ease, but balk at the suggestion of returning the same." No one complains when the prison goes on lockdown so that the pigs can all attend "Officer Appreciation Day" in the gymnasium. As an attorney, I would like to think that out of over sixteen hundred prisoners in this prison at all times, that the ratio would be far greater than me only getting five people released within almost six years of being here. This is because everyone is playing the game with catcher's mitts on, without a thought of pitching out to help someone. I reach outside of this plantation to other plantations, with the hope of reaching out and relating to others. In order for you to grasp the irony of the sickness of the mindset of the fools I'm surrounded by you must understand that none of the so-called tough killers in these mountains defy the pigs here. The same pigs openly disrespect these clowns too many times to count each day. MIM(Prisons) responds: We hear complaints from a lot of comrades behind bars about the lack of resistance to prison repression. Rather than complain, we call on activists to do something about this situation. 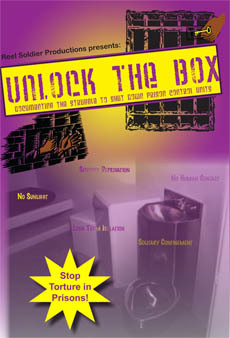 Prisoners have an objective interest in fighting their abuse but many have been frightened into silence and inaction. Still others don't have an understanding of the system and so are easily used as pawns by the guards. We need to expand our education efforts and show the strength that comes from being organized. This is how we will develop more revolutionaries. I have been in disciplinary segregation since August 2004 and I am currently at Western Correctional Prison, Maximum Security. On 26 January 2008, I wrote an Administrative Remedy Complaint (ARCs) on six officers who attacked me while coming from the showers on the 4 - 12 shift. This was due to me writing grievances (ARCs) on them for not abiding to DOC policy and procedures. The ARC has stayed its course through the process and it is now in the Court of Special Appeals where it has been since February 2009. On 13 March 2009, I was assaulted by officer Broadwater, which precluded the above ARC. All these officers at the time were working SHU #4 Disciplinary Segregated Isolation tiers. On 25 March 2008, I was assaulted by officers Rice, Brambles, and McKenzie. I was sprayed with chemical pepper spray all over my front body, from my waist to my head. This chemical was literally dripping off my body. The officer said in his report that he gave me a one second burst! This ARC went through the process and is in the Court of Special Appeals as of February 2009. To relieve themselves of an injunction that I won, they transferred me to Eastern Correctional Prison, which is classified as medium security. I am classified as Maximum #2 level, so I made out really good from the injunctions. 1. Concerning the wearing of hair nets while serving our food to us. I won this ARP and the Gestapo hates it. 2. Serving us cold food all the time. This ARP is at the Inmate Grievance Office (IGO) now, which is the last step before going to court. 3. ARP about tiers having food and trash on them, which the guards encourage. This ARP was addressed at the IGO level in December 2009, and now they have to come around to each individual cell and collect unwanted food and trash. Gestapo hates it because they have to do a little work. 4. ARP concerning filthy showers and the tier floor not being mopped regularly as stated in the DOC policy and procedures, "It is imperative that good sanitation be maintained at all time!" I also have two cases in local courts. As you can see, I am very adamant about these Gestapo security guards doing their job correctly. Whatever you can think of that these Gestapos can do to me, they've done it over the years. So whatever they do to me, they're not getting a cherry. Been there and done that! As far as the grievances go towards censorship of incoming books, magazines, and literature such as Under Lock & Key, I fought the censorship of incoming literature from Book 'Em and Books to Prisoners. Basically I wrote an ARP because when the books came in they sent them back without notifying me that the books were even here. I found out via Books to Prisoners writing me and telling me about it. So the prison violated not only mine, but Books to Prisoners' due process rights. Plus the prison had a list of 34 companies where you could order books from. This list is called a "blackball" list and it is illegal. I charged them with a restraint of trade and discrimination. Once the ARP got to the second level of the process, Commissioner's Office, they withdrew the list of 34 companies. I have a very good track record for winning ARP cases, and my first two books were from Books to Prisoners. I want to put Maryland on the map, so to speak! There are numerous upon numerous violations that are at fault in this Gestapo Security Guard Concentration Camp. I'd like to see more prisoners in this state get involved in any movement that stands against this Draconian style suffering towards those who are imprisoned. Nothing and no one will stop me from exercising my absolute right to litigate from anyone refusing to adhere to giving me those few basic rights that the Constitution and the Bill of Rights of the United States of Amerikkka says that I have! MIM(Prisons) responds: This comrade domonstrates that following through on appeals and filing court cases can actually lead to winning cases and that building your experience fighting such legal battles can pay off. Though prisons are one of the most fascist elements of U$ society we don't use the term "Gestapo" to describe the pigs. The Gestapo was the official secret police of the Nazi government, and to call U.$. prison guards a Gestapo tends to let imperialism off the hook. The petty bourgeoisie likes to believe that bourgeois democracy is a more humane system than fascism. But part of the importance of exposing what is going on in U$ prisons is demonstrating that imperialism can be just as oppressive when it needs to be. Fascism happens when the imperialists decide they need to be that oppressive all the time. Greetings from a new soldier in the struggle. I'm the brother who was inspired to join the movement when I read the comrade's article in ULK number 8: Remove the Profit Motive. Since that time I've become indigent. I'm letting the state fork the bill for my incarceration. I'm writing today about our need for unity. I've seen a couple of things that impede our uniting. One is separation by gangs; there only needs to be two gangs, us and them: "Admin." Second, I know all my comrades know that the administration's across the country use televisions, radios, fans, etc. And now here Play Station 2's as a "pacifier" and "control tool." I see grown men jumping with joy to be allowed to buy Play Station. Administration sitting back laughing. That's it, take this pacifier, forget your problems and we'll continue to do to you what we want. I'm in the process of sending my appliances home. I want to focus on what's important, my rights and the injustices going on in prison town USA. The fear to lose these pacifiers I mentioned hold a lot of brothers back from bucking the administrations and their strong arm tactics. I hear it all the time, I'm not losing my privileges fighting for something that will not change. They're right, it will not change with that attitude. The show of unity is the only way to make a change. Administration here now sends all your property home when you receive 180 days or more on lock up. These people are smart, they know a large percentage of the population don't want to lose those pacifiers. So we remain guinea pigs, they test to see what they can get away with. I'm now focused on what I can do to fight peacefully against these gate keepers. I'm testing to see if I can get population to come together for a peaceful demonstration. I'm asking everybody in population to skip one meal in protest to the injustices that are going on. We in prison need to stop talking, stop complaining and come together and take action. Send them pacifiers home, stand up and be a man. MIM(Prisons) adds: Current wars in the Congo that have displaced and killed millions of people over a ten-year period are being dubbed the “Playstation War” because of the direct relationship between mining for coltan, and this metal’s use in manufacturing Sony Playstations, as well as other electronics. In Maryland there are three different types of life sentences. The law in Maryland mandates a regular life sentence, a life in lieu of the death penalty and life without parole. Regular life means that a person sentenced for the balance of his/her life will not be eligible to make parole before serving at least 15 years less whatever "good-time" he/her have accrued. Some regular life sentences could make parole in 12 1/2 years but only during the early years. The second form of life sentence is directly attributable to the lobbying efforts of the Stephanie Roper Committee. This applies to cases where the death sentence has been sough by the state's attorney office but rejected by the Courts/Jury. Unlike regular life the lifer is not eligible for parole for at least 25 years less "good time". The earliest possible parole date is after serving 19 1/2 years. The third form of life is life without parole. This form of life was passed in 1987, also as a direct result of the efforts of the Roper Committee. Under this law a prosecutor can give notice of intent to seek life without parole in any case for which he could have sought the death penalty. Both governors Glendening and Ehrlich has served two terms in office while O'Malley is on his first term. Such government decisions must be decided on a communist basis where every lifer's case should receive the same fair judgement and sanction. In Maryland the scale of justice will always remain unfair. I just received my first issue of Under Lock & Key (May 2009, #8). Wow, I'm sold. 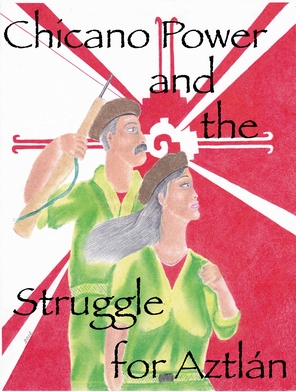 I'd love to be a comrade in the struggle. The article titled "Remove the Profit Motive" by the comrade out in California has me sending my money out to my family. I'm becoming indigent as my first step to join the movement. Now I see why they keep building prisons. Thank you for opening my eyes. I'm going to spread the word here and educate as many as I can while you educate me. This imperialist country spends billions on lost causes while millions are starving and homeless. Please send me literature that will help me to better understand the movement. I'm ready to do whatever I can for the revolution.